The companion to the blockbuster bestseller, Getting Things Done. Since its publication in 2001, Getting Things Done has become, as Time magazine put it, 'the defining self-help business book' of the decade. Having inspired millions of readers around the world, it clearly spoke to an urgent need in an increasingly time-pressured society. 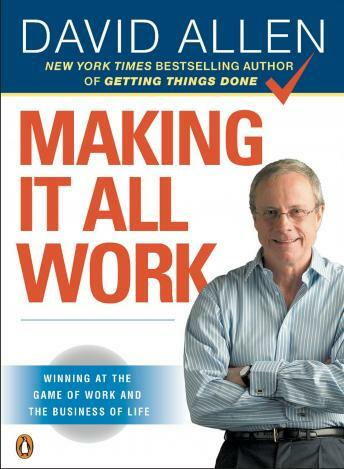 Now, in the highly anticipated sequel Making It All Work, Allen unlocks the full power of his methods across the entire span of life and work. While Getting Things Done functioned as an essential tool kit, Making It All Work is an invaluable road map, providing both bearings to help you determine where you are in life and directions on how to get to where you want to go.